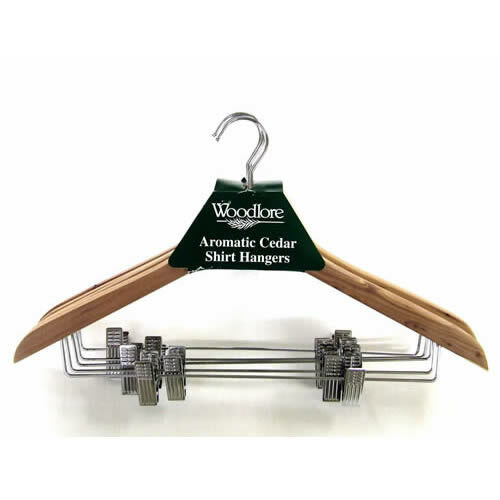 1 Pack of 5 Deluxe Woodlore Aromatic Cedar Shirt Hangers with Adjustable Clips. 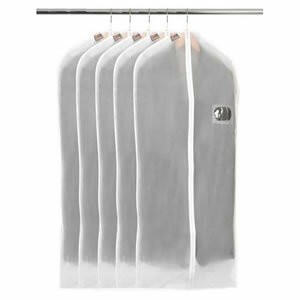 Beautifully made Cedar Hangers designed for hanging Shirts and Trousers. 44 cms wide (17 1/4"). Chrome plated swivel hook and clips. Aromatic cedar is found only in America & naturally protects clothing from Moths & refreshes it with the forest - fresh aroma of cedar. To rejuvenate the fragrance of aromatic cedar lightly sand with medium sandpaper & use our Woodlore Cedar Sprays.